My site is a deft slice in the shadow of the main street. I drew my own line within the site, a view where the continuous quality of the street plays out like a filmic sequence. 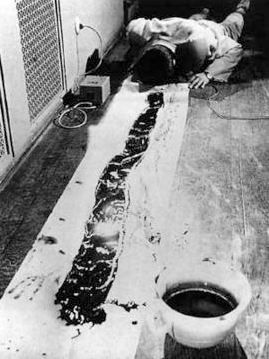 In the performance piece ‘Zen for Head’ (1962), Korean born artist Nam Jun Paik dipped his head in a bowl of ink before dragging it (like a giant brush) along a scroll of paper. "draw a straight line and follow it."